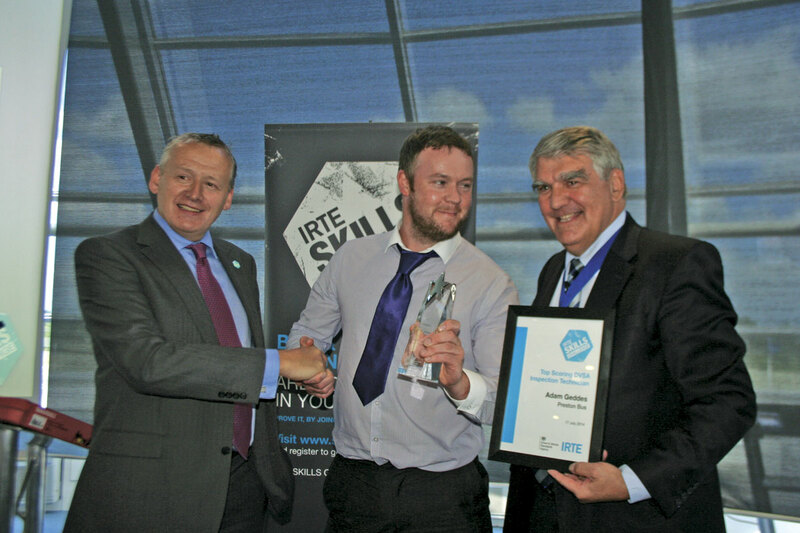 More entrants than ever took part in this year’s IRTE Skills Challenge. Some 60 technicians and apprentices from Abellio, Arriva, FirstGroup, Go-Ahead London, Go South Coast, London United, Metroline, Preston Bus, Tower Transit and Translink entered the competition. The event sees PCV technicians take part in bodywork, electrical and mechanical challenges at SMB Automotive Academy in Bristol. 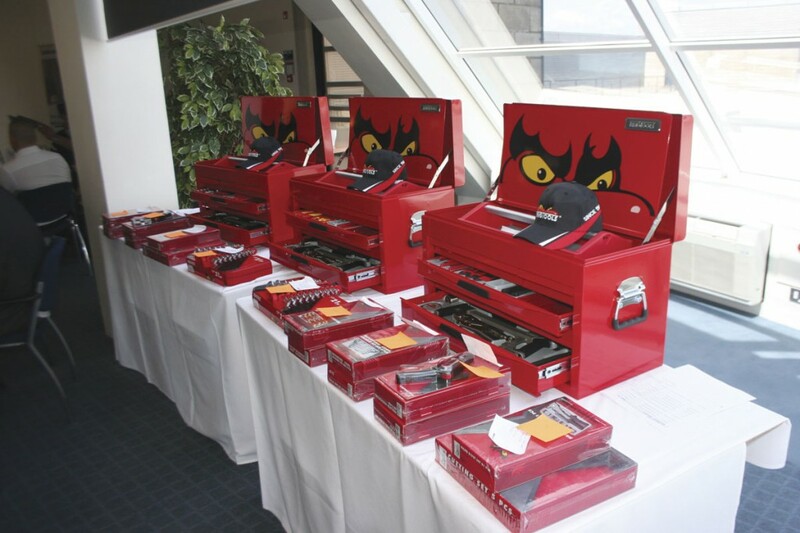 This year’s awards ceremony for the Challenge took place at the Heritage Motor Centre in Gaydon, a fascinating place to visit for anyone interested in vehicles of all kinds. For the first time in the awards’ four year history, the DVSA has lent its support. The agency has contributed a specially devised inspection test, as close a replication of the annual test for buses and coaches as possible. The top scoring technicians and apprentices in this category were offered a day of training with DVSA as part of their prize. This could include a meeting with a director from the agency, a visit to a testing station to shadow staff, or attendance at an organised roadside check. Peter said he was pleased SMB Automotive Academy in Bristol has stayed supportive. The engineering education facility has hosted the competitions challenges since the beginning of the awards. 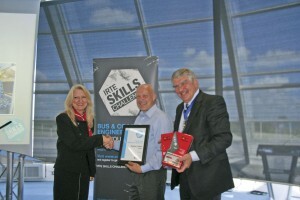 Following a three course meal, one of the speakers during the Skills Challenge awards presentation ceremony was Sir Moir Lockhead, former Chief Executive of FirstGroup. 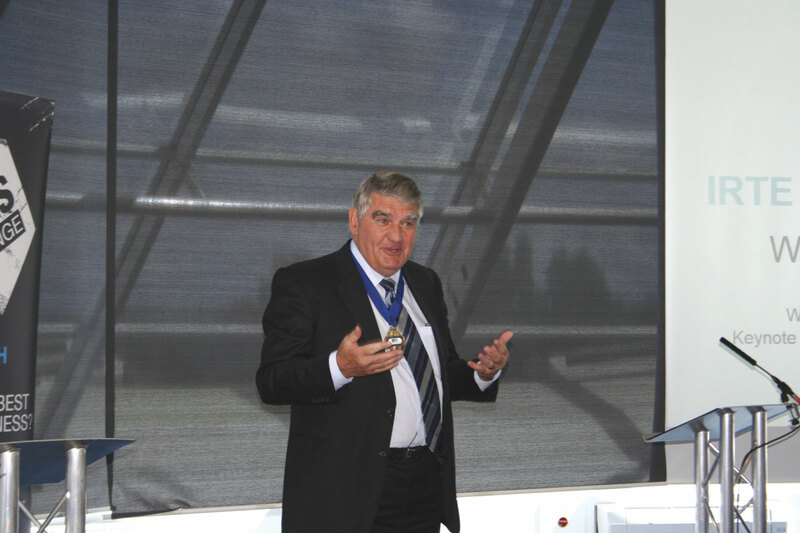 Sir Moir has been a member of the IRTE since 1964 and was, to his surprise, given an award recognising his 50 years’ support of the organisation. He reminisced about the National Craftsman Certificate, which was a similar award recognising high skills in engineering that was current at the time he joined the IRTE. He said it was not as competitive as what IRTE Skills Challenge entrants have to go through these days. Sir Moir promoted the importance of safety in engineering, which is unsurprising considering FirstGroup’s high emphasis on running a risk free business. He said his companies that were most profitable had the best compliance and safety records. 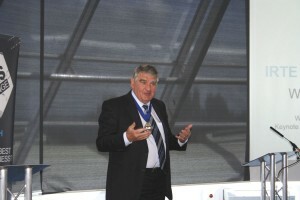 Diagnostics was another topic of his speech. He said that with all the advanced diagnostics equipment available, it is important it is used effectively to avoid repeat failures of vehicles. After Sir Moir’s speech, it was time to announce the winners. In the Bridgestone sponsored Bodywork Technician award, the top scoring entrant was Paul Lenihan of Tower Transit. 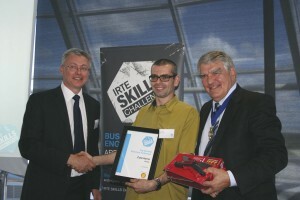 The runner up was Simon Mockford of Go-Ahead and highly commended was Gary Henshaw of FirstGroup. 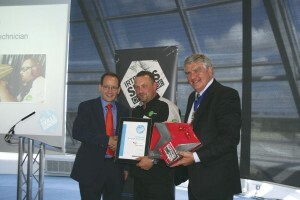 Winning the Shell Lubricants sponsored Electrical award was Colin Harris of Arriva. The runner up was Kevin Hunter and highly commended was George Leach-Walton, both of whom are of London United. Stephen Cribbin of Abellio won the Mechanical Technician award, sponsored by Alison Transmission. Metroline’s Martin Tomkins and FirstGroup’s Peter Buckle were also commended. Top scorers in the Electrical and Mechanical category were Peter Buckle and David O’Hara, both of FirstGroup. The runners up were Metroline’s Chris Brown and Martin Tomkins. Adam Geddes of Preston Bus won the DVSA sponsored Inspection Technician award, with Stephen Cribbin of Abellio named runner up. The DVSA Top Scoring Inspection Apprentice award went to Metroline’s Jon Marriage. Runners up were Tina Hayden-Williams of FirstGroup and Daniel Kitchen of Preston Bus, who both scored the same mark. 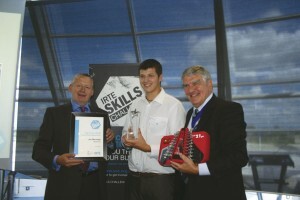 Richard Belton of SMB presented the Apprentice Awards. The winner of the Top Scoring Bodywork Apprentice award was Mark Rawcliffe from Preston Bus, with the runner up named as Tower Transit’s Gregory Pinto. Daniel Gardner of Arriva was the top scoring Electrical Apprentice, with FirstGroup’s Daniel Robinson taking the runner up spot in this category. Pamela Chapman of Arriva was the Top Scoring Mechanical Apprentice. 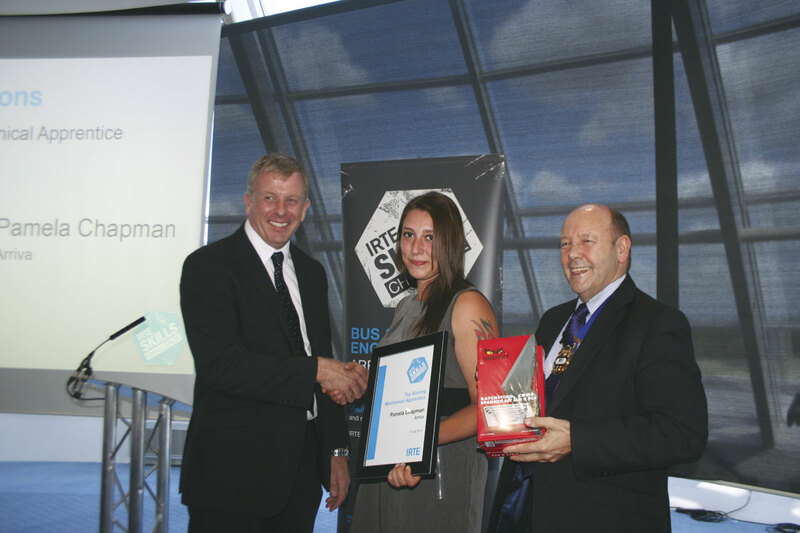 The runner up was FirstGroup’s Tina Hayden-Williams. 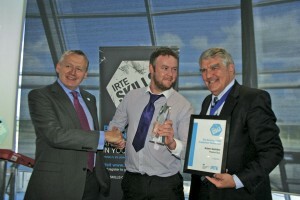 The IRTE Award for Outstanding Achievement went to the Arriva team of Tom Hubbard, Keval Rayatt and Colin Harris.